Over the years Hung Wan restaurant has established quite a reputation for itself, and now the restaurant is expanding and bringing with it a new look in hopes of attracting customers from a younger demographic. The restaurant’s interior has been revamped with a vibrant, energetic design that gives the restaurant a younger, fresher look. Grey laminated glass used to divide booths are a sleek and modern touch, and perforated bronze backdrops inspired by the restaurant’s logo are used to decorate the walls. 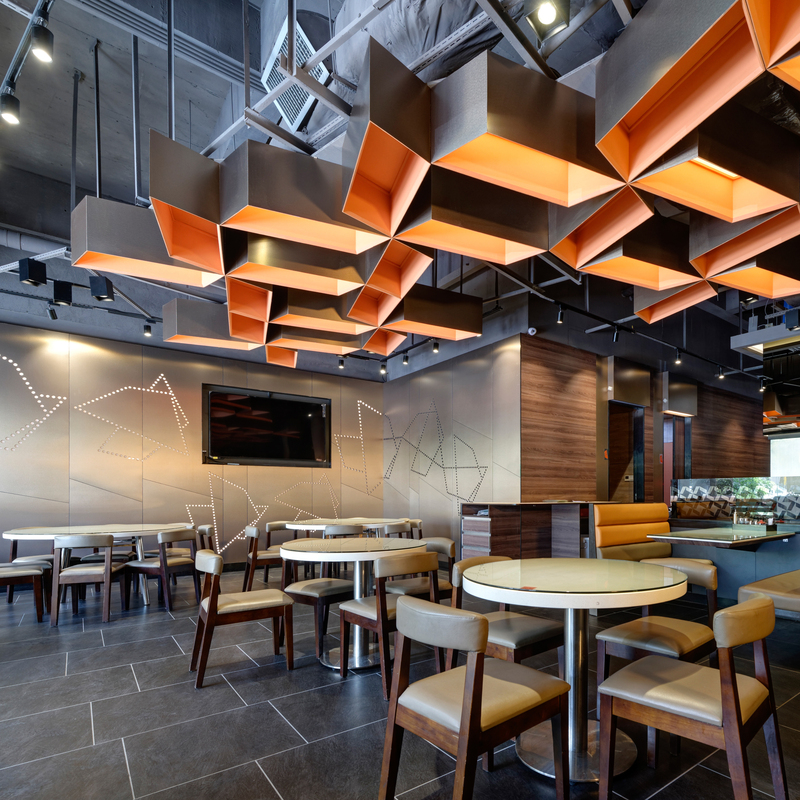 The look is tied together by pinwheel pendant lamps that give the interior a warm orange hue. Renovations aren’t just limited to a new look — the newly redesigned kitchen and BOH area also increase efficiency and allow staff to serve the restaurant’s growing customer base quicker and easier than ever before.